For the past three years I’ve begun the year with a short list of goals. I’ve really learned the benefits of goal-setting and have enjoyed measuring my success over the years! For me, goals are not simply items on a checklist. 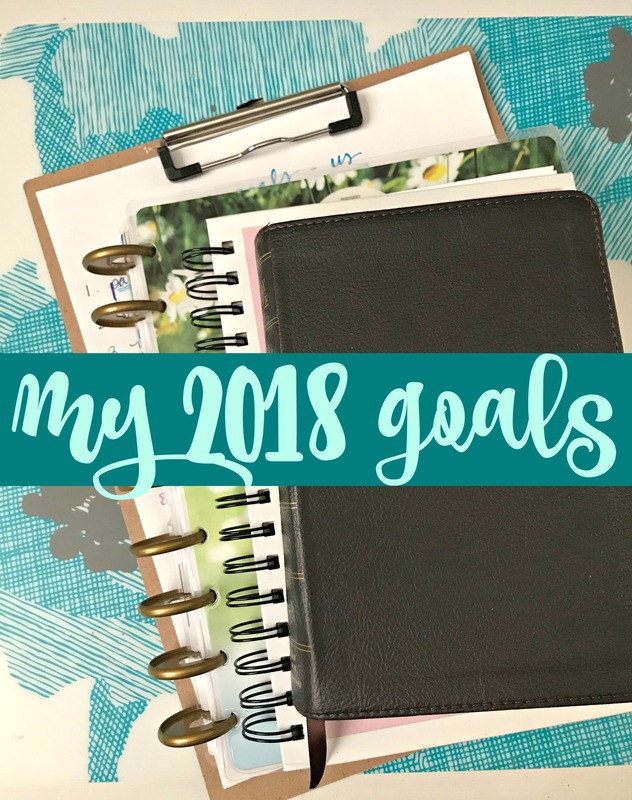 I don’t cross them off the list and move on – my yearly goals are things that I hope will become part of my daily lifestyle. For example, both 2016 and 2017‘s goals included a daily household cleaning routine that would be incorporated into my schedule. I’m now accustomed to doing chores every day and don’t even have to write them down – I automatically do them! I didn’t need to include that in this year’s goals, because it’s just part of what I do on a daily basis like brushing my teeth and cleaning up after supper. Goals don’t always work out the way I think they will – I haven’t incorporated everything into my schedule as I planned. I don’t play the piano on a regular basis. I decided that wasn’t really something I needed to do! I’ve made goals for friendships that didn’t turn out the way I thought they would. That’s ok! I have also learned that abandoning a goal is totally an option. Goals that involve other people are slightly out of our control! These are all big picture goals that I look forward to incorporating this year! I do enjoy creating “bucket list” type goals for each season, and I share those at the beginning of the season. As I mentioned last week, Paul and I have a list of goals that we’re working through together as well – many of them are things that God has laid on his heart as leader of our family. I imagine I’ll share some of those things throughout the year. Thank you all for your support and encouragement as I launch out into my year of growth! Your kindness means the world to me. I would love for you to share one of your goals with me in the comments – let’s cheer each other on this year! Great goals! We are also part of a discipleship group and have already grown so much and we just started! Great goals for the new year!! I love your ambition and your long term outlook. I’m excited to see you practice and improve your hosting skills this year. I always get good ideas from you. I also love your picture… to do lists, planners + Bible. What a great combo! Those are great goals!!! This could be an exciting year for you with your employment goals too, love that! I would love to have a more consistent housecleaning schedule this year, so I guess that’s my major goal. 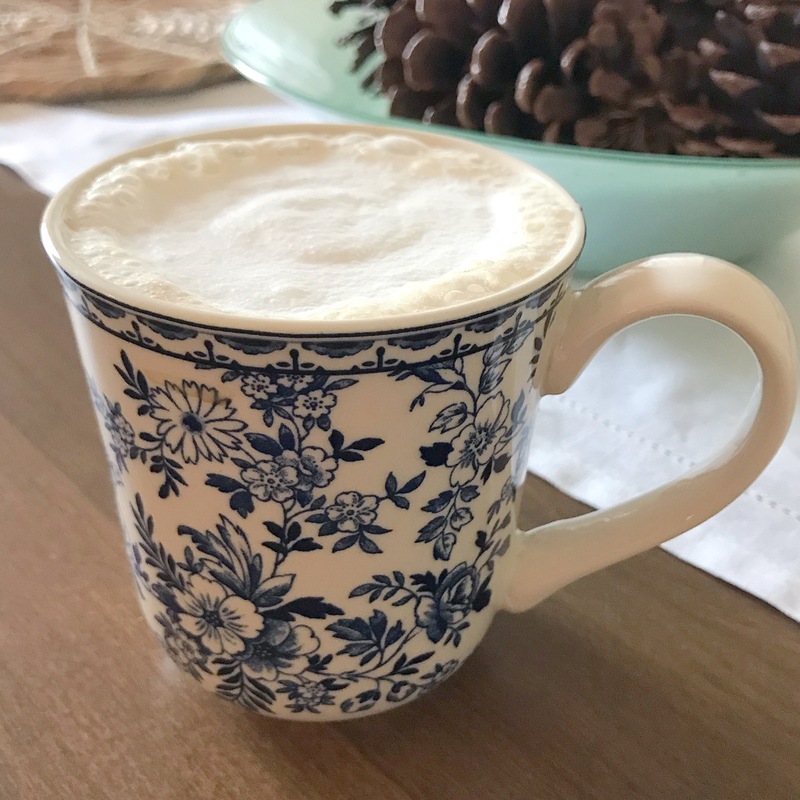 Your blog is one of my favorites to read, and I wish you a happy 2018! That’s a great goal – and one I’ve enjoyed the benefits of mastering! I’m cheering you on! 🙂 Thank you Janet! Two of my goals are to finish organizing my home and to have family worship consistently. Also want to blog more. Always enjoy your blog. Those are great goals! Thanks for stopping by, Johanna! I’m doing the same discipleship program this year. Did you read Growing Up? I’ll be praying for you and your group as I pray for my group. While there are many negative things surrounding the internet, one good thing is that it connects believers. It is such a joy to know other people across the country are living out the Great Commission. Without the internet and the blogging world I never would have known this. I haven’t read Growing Up – our church is going through the reading plan together, so it might have been sparked by one of the pastors reading that book! Definitely, one of my favorite things about blogging is connecting with likeminded women. It’s easy to feel like you’re the only one who feels a certain way or experiences certain situations, but blogging has helped me see that I’m not alone! If you do not have goals, you will never reach them. One of my friends told me that years ago and it has stuck. She and her husband sit down and make couple goals each year and I think that is good too. Being married to an engineer that might be a bit too touchy feely for him.lol I am going to try to be more disciplined this year and to really hold myself accountable in several areas. I am reading through the Bible and I have a new daily devotional book that is called A Year with the Church Fathers. It is good to see what the early church leaders had to say to believers then and it is so good for our present day as well. Thank you for being a consistent blogger who I always enjoy visiting! !